MyWi, a popular applcation that lets you iPhone create a mobile hotspot, has been updated with improved support for iOs 4.1. Create a WiFi HotSpot with a press of a finger! Wherever you are - you can connect your laptop or other mobile device to your iPhone/iPad easily. MyWi has been rebuilt from scratch to bring tethering support to iOS 4! Will work with all jailbroken iPhones (including 2G/3G/3GS/4) and iPad on 3.1.2 or later. You can purchase MyWi from the Cydia Store for $19.99. 1. Download RedSn0w from here and place it in the Pwnage folder. Likewise, download the latest 4.0 firmware from below and place it in the same folder. 2. Connect your iPhone to the computer and launch iTunes. 3. Navigate to the Pwnage folder on your desktop and select the firmware ipsw. Click the Choose button to continue. 5. Select the firmware ipsw we placed in the Pwnage folder on our desktop then click Open. 6. Once the firmware has been verified click the Next button to continue. 8. From this window you can select the jailbreak options you would like. needed by developers and advanced users. select the image. Locate the image you would like to use then press the Open button. deselecting it as it makes your iPhone 3G run very slow. 12. RedSn0w will then begin uploading the new RAM Disk and Kernel. 13. Once this is complete you will be notified that RedSn0w is done. Click the Finish button. If you’re a Skype and an iPhone user then there is one feature you sorely miss: getting video calls on your iPhone. Not anymore! fring, a London-based messaging startup based in Israel, has released an upgrade that allows you to receive video calls on your iPhone. What this means is that if someone is placing a video call from a desktop or a laptop using Skype, for instance, then via the new version of fring that is currently available to users with iPhone/iPod touch OS 3.0, those users can watch it on their home screens. Folks using the iPhone can’t make video phone calls because of the location of the camera. The service only works over Wi-Fi, and not on 3G. fring has been offering this type of video calling for Nokia’s S60-based phones for some time now, and in some models of Nokia you can initiate a video call. I tried out the service by chatting with my friend Ouriel Ohayon, co-founder of Appsfire,and discussed our upcoming trip to Le Web. Instead of a voice call, Ouriel placed a video call and it worked as advertised. It helped that I have a rock-solid 50 Mbps connection to ensure quality performance for all my bandwidth-intensive applications. I have no hesitation in recommending this upgrade to everyone. This tutorial can be used to jailbreak before applying the BlackSn0w unlock to your device. Apple has been reluctant to strike a deal with NAND flash suppliers for this year, as prices remain at high levels, according to a DigiTimes report. Despite the current slow demand for memory cards and flash drives, major chip suppliers especially Samsung Electronics continue to give priority to profitability over shipment volume, according to the sources. Also, foundry partners including United Microelectronics Corporation (UMC) and Semiconductor Manufacturing International Corporation (SMIC) have become concerned that growingly tight foundry capacity may disrupt shipments and affect NAND flash pricing. Sources say, "Apple may start negotiating long-term supply contracts with its chip partners in the second quarter. 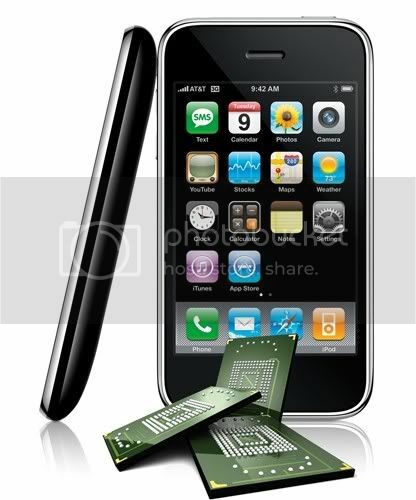 Apple's demand will continue to play a significant role in the NAND flash industry in 2010." apps was through Installer (also known as AppTapp). Now, as I’ve moved on to the iPhone 3G, Installer has taken a backseat to Cydia, which has emerged as the only place to download apps. Cydia is great but it does have some shortfalls. For example, it takes a LONG time to load (I’m beginning to think “Reloading Data” will soon be a permanent imprint on my iPhone’s screen!) at times, and when repositories are down Cydia can just stop functioning altogether. Installing and uninstalling applications can be a multi-step process that is time consuming. The folks that gave us the original Installer have recently introduced Icy, which essentially is Cydia but about 100x easier to use. Icy is RipDev’s take on Cydia, and their little app makes using Cydia a BREEZE! Good bye long wait times, welcome to the future of installing/removing 3rd party apps! 2. Enter the following: http://apt.ripdev.com …hit Add Source afterwards. 3. Go to Sections–>Packaging–>select Icy, and install it. 4. After the install, respring and launch Icy. Upon launching Icy, you should see a very simple layout. Categories, Sources, and Installed are your choices along the bottom (and Search in the top right corner). Go ahead and select any app to install it. You’ll soon be amazed at how well Icy works at installing a program. Try uninstalling an app and it’s equally as easy. You can also view Icy in landscape mode. What makes Icy so quick is that sources are only refreshed when you want them to be. The app takes up minimal resources and downloads repos very quickly. Icy is an awesome alternative to Cydia when you need to install/remove apps quickly and painlessly without constantly waiting for sources to refresh. Definitely give it a try and let me know what you think of it! 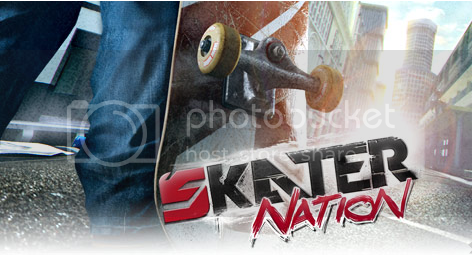 Welcome to Skater Nation, a skateboarding game for iPhone & iPod touch, better and larger than any other. Roll out into an enormous city full of challenges and realistic HD graphics. Choose from 8 characters and customize your board at the Skater Shop, then skate wherever you want to go, including a construction site, beach and more, while listening to your favorite tunes on your device. Show off your arsenal of ollies, kickflips, nose grabs and various grinds, then save the replays to post them on YouTube so everyone can see what a pro skater you are! Choose from 8 different skaters, each with their own unique 3D model and animations. You Can Download Summerboard Here. 1. Press to select the Installer icon on your SpringBoard. 2. Press to select the Install tab at the bottom of the screen. 3. Press to select Themes (Customize) from the list of Categories. 4. Press to select a Theme from the list of Packages. I selected Designer Image Set form the purposes of this tutorial. 5. Press the Install button at the top right of your screen. 6. Press the large Install button that appears. 7. When the installation completes you will be returned to the Categories list. Press the Home button to return to your SpringBoard. 8. We are now presented with all the different items we can customize. 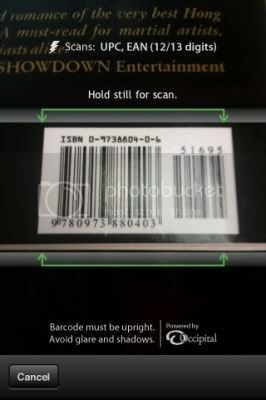 To see the new images we installed lets press the Carrier Image button. 9. Lets try and change an image to demonstrate how this works. From the Customize menu select WiFi Images. 10. You can install many different Themes from the Installer app and customize your iPhone to your hearts content. Each button on the Customize menu will let you change different interface items on your iPhone.